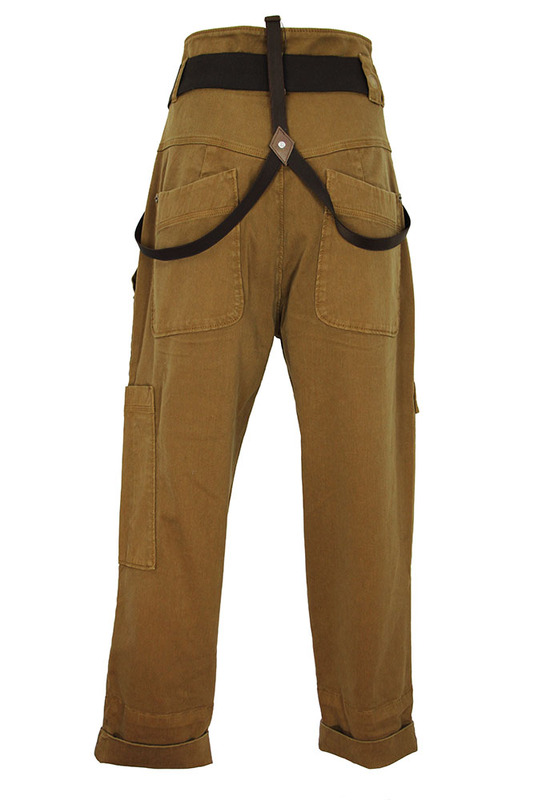 High tan coloured trousers in a fantastic tan coloured, stretch fabric with attachments, 'Clamber'. Elasticated belt with round metal buckle, low belt loops on waistband. Detachable Braces. 2 very large patch pockets with rivets and stitch details. 2 button waist fastening and zip with elaborate pull. Double fabric at hem, perfect for turn-ups. At rear there are various belt loops. 2 patch pockets with stitch and rivet detail. 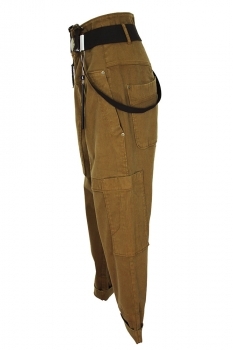 Superb trousers in a substantial and very special fabric.